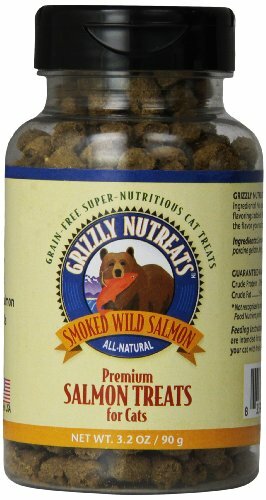 Grizzly Salmon Oil - Omega 3 Fatty Acid for Cats (4 oz) by. 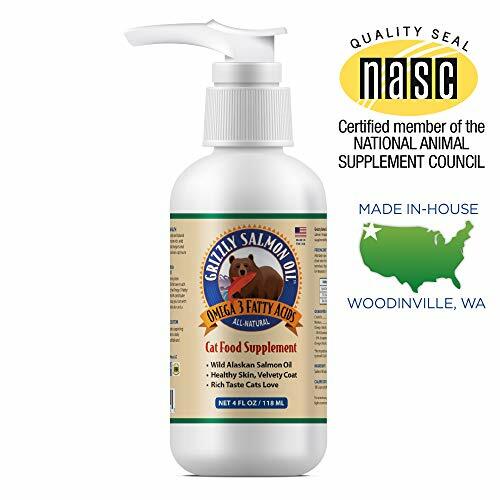 Grizzly Pet Products, LLC Grizzly Salmon Oil is a highly active, all-natural Omega-3 health, skin, and coat supplement, extracted directly in a seafood processing facility. Salmon oil helps solve skin and coat problems from the inside out by countering inflammations caused by excessive Omega-6 oils. The unprocessed EPA and DHA also strengthens the heart. 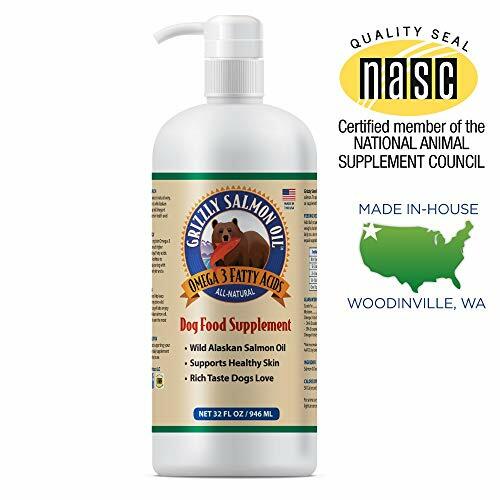 Grizzly Salmon Oil comes from wild Alaskan salmon and contains nature's blend of over 15 heart-healthy Omega-3 and Omega-6 Fatty Acids. 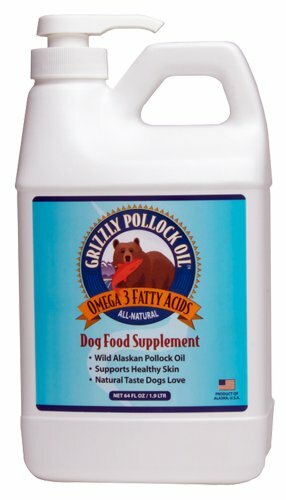 Grizzly Pollock Oil is rich in the Omega 3 and 6 fatty acids that are beneficial for skin and coat health, healthy joints, cardio health as well as for the nervous system and eyes. Sourced from sustainable Wild Alaskan Pollock with a high ratio of natural fish oils. 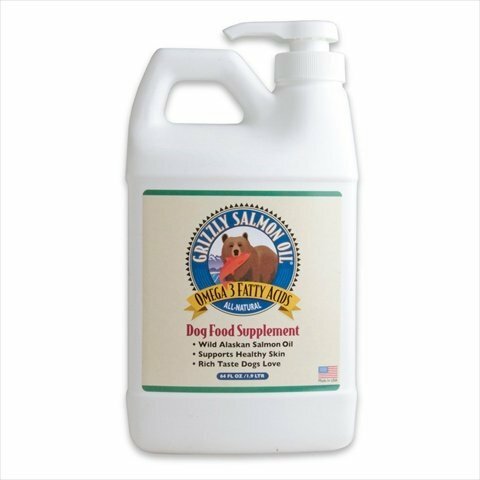 Grizzly Pollock Oil delivers the right Omega 3 fatty acids, EPA and DHA, that are readily and easily accessible for your dog or cat's metabolism. Grizzly Pollock Oil is an excellent and sustainable natural source of fish oil rich in Omega 3 fatty acids. It is also used worldwide as the primary source for high quality white fish products. Salmon Oil is a naturally rich source of Arachidonic Acid, which is an essential fatty acid for cats, needed for vital functions. Wild salmon protein & Omega-3's for dogs and cats. Dehydrated wild salmon fillet strips. Content of this package equals 1 lb of fresh, wild salmon fillet. No additives. The ultimate spoiling treat. 100% wild salmon fillet strips. Break into desired bite sizes. All-natural and nutritious fish protein. Good source of Omega-3's. Directions: Feed as a treat. Provide your pet with fresh drinking water regularly. Grizzly Super Treats for Cats contains no added grains, fillers, salts or sugars, these treats make a healthy reward both you and your pet will love. 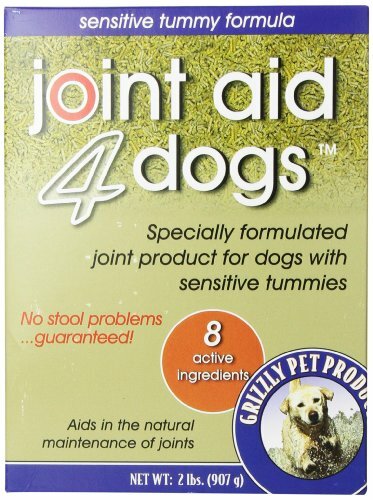 The crunchy texture supports healthy teeth and gums and healthy skin and coat. These treats contain Wild Alaskan Salmon that provides Omega 3s and nutritious protein to support your pet's muscles and immune support. 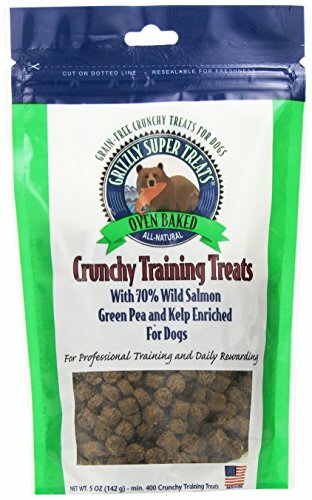 Grizzly Super Treats™ Crunchy Training Treats make training your dog easy and nutritious! With no added grains, fillers, salts or sugars, these treats make a healthy reward both you and your pet will love. These treats contain Wild Alaskan Salmon that provides Omega 3s and nutritious protein to support your pet’s muscles and immune support. B-Air Grizzly Duct Drying Kit has been specifically designed to fit any Grizzly Air Mover/Dryer. Especially useful to direct air flow to areas that cannot be reached by a free-standing dryer. The ducting kit allows the flexibility to direct airflow in 3 different directions at 1 time. Three 8 ft. long quality flexible vinyl hoses connect to the adapter and each have an individual fully adjustable air flow control gate At the end of every duct, airflow gates come standard with hangers to allow the flexibility to hang the ducting Industrial grade clasps on the ducting kit housing allow the DDK to be tightly attached to the Grizzly line of air movers and dryers Airflow gates on all 3 ducts come standard with adjustable knobs to allow you to fully control the desired amount of air flow Three 8 ft. durable vinyl hoses 3 airflow control gates with 2 hooks on each gate 6 clamps included to anchor hoses and gates to kit Product dimensions: 18 in. x 15 in. x 8 in. Product weight: 10 lbs. Shipping weight: 12.6 lbs. 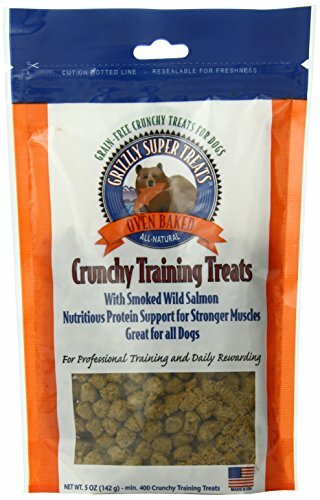 Grizzly Super Treats Crunchy Training Treats make training your dog easy and nutritious! With no added grains, fillers, salts or sugars, these treats make a healthy reward both you and your pet will love. 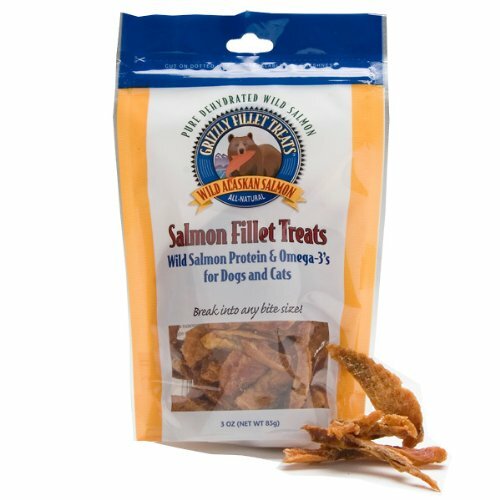 These treats contain Wild Alaskan Salmon that provides Omega 3s and nutritious protein to support your pet's muscles and immune support.